Review: 2012-10-12, fantastic exchanges and spectacular finish: Eddie Alvarez vs Patricky Freire is very close to get four stars. 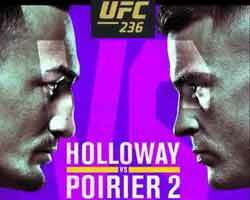 The American Eddie Alvarez (23-3-0) entered as the No.7 lightweight in the world while Patricky ‘Pitbull’ Freire (10-3-0) entered as the No.54. 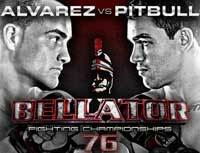 Alvarez vs Pitbull Freire is the main event of Bellator 76. Watch the video!